Finnish developer Rovio will launch its first official sequel to the ultra-popular "Angry Birds" game on July 30, debuting on mobile platforms including Apple's iOS. The company hasn't revealed any other details about Angry Birds 2, except that it will be in "app stores worldwide." The basic Angry Birds concept revolves around the player firing birds artillery-style from a slingshot, trying to blow through obstacles and take revenge on hiding pigs. Each bird has unique qualities needed to solve different parts of a level. The first Angry Birds was released in 2009, but since then Rovio has released numerous spinoffs, such as Angry Birds Seasons and Bad Piggies. Promotional tie-ins have included titles such as Angry Birds Transformers and two Star Wars games. The company has become of the most financially successful mobile app developers of all time. On top of selling apps and in-app purchases across multiple platforms, Angry Birds merchandise is widespread, ranging from clothing and stuffed animals to toothbrushes and miniature real-world versions of the game. 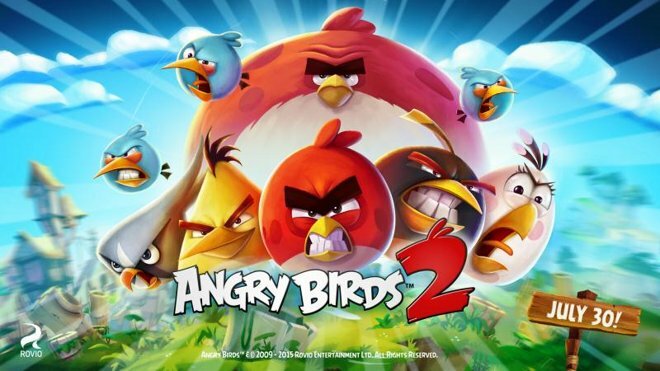 More details about Angry Birds 2 will be released in the run-up to its launch date.